A famed Highland games has been cancelled for good after dwindling numbers of committee members have made it impossible to run the event. Invercharron Highland Games, traditionally the last games of the season, has previously drawn talent and visitors from across the world to a field in Sutherland. However, it will cease with immediate effect, much to the sadness of locals and former organisers of the games. The games’ committee has cited “personal circumstances” as the main reason for the drop in numbers, which organisers say are at a level that makes it “impossible” for the games to be delivered this summer. A spokeswoman said: “It had been hoped to run the games this year with a small but determined Committee. The games, traditionally held on the third Saturday in September, had been due to take place in Bonar Bridge, with organisers hoping for greater uptake from the local community. Assets of the games will now be frozen and made available if a new committee is established to resurrect the games in the future. Former president of the games Michael Baird expressed his sadness over the announcement. He said: “Having to hear that the games have gone this way, it certainly does cause me great sadness. The final Invercharron Highland Games took place in 2017 after organisers were forced to cancel last year’s event due to a heat wave, resulting in the farmer of Balblair Farm, the venue of the traditional gathering, not being able to harvest his crops, resulting in the field becoming useless for purposes of the games. Ian Grieve, secretary of the Scottish Highland Games Association, said: “It is sad it has come to this and hopefully they can regroup and the community can get together to get everything in place for next year. 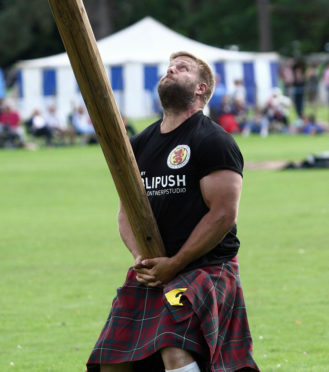 “The venue at Invercharron is unique, but the aspect of it the games is facing in terms of committee numbers is not unique, with many Highland games finding it is difficult in maintaining a decent level of committee members. The Invercharron Highland Gathering was first held in the grounds of Invercharron House in 1888, and has taken place in its current format since 1981.